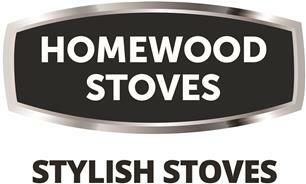 Home Wood Stoves Ltd - Fireplaces/Stoves based in Sandhurst, Berkshire. Home Wood Stoves Supply and install multi-fuel and wood burning stoves. Contemporary or traditional freestanding as well as inset stoves. Chimney lining or if you do not have a chimney a twin wall flue system whether internal or external. We offer free surveys and quotations usually within 48 hrs of contact. We discuss all options with you and listen to your ideas and opinions. Installation of stoves in conservatories. Fireplaces built, lime rendered and plastering services. Slate/granite/limestone hearths supplied and fitted. Wooden beams of any size and finish to suit and compliment the overall appearance. We have a new showroom with a range of Contemporary Wood Burners and traditional multifuel stoves in Sandhurst, Vulcan way, (next to Sandhurst MOT & Service Centre). Please see our website for opening times. Berkshire, Surrey, Hampshire, Oxfordshire, Sandhurst, Reading, Guildford, Basingstoke, Kingston, Slough, Ascot.